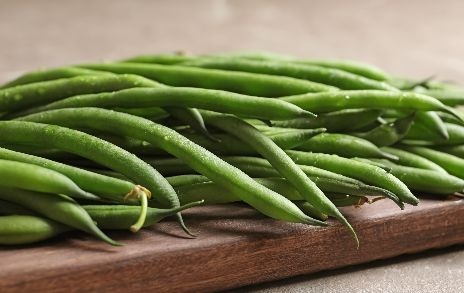 French beans are delicious, decorative and easy to grow. 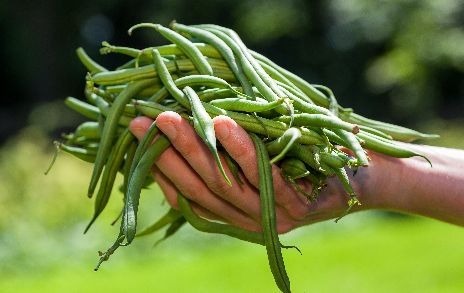 The plants produce plenty of fleshy beans that are ideal for those who don’t like ‘stringy’ runner beans. There are two main types of French beans: climbing and dwarf. 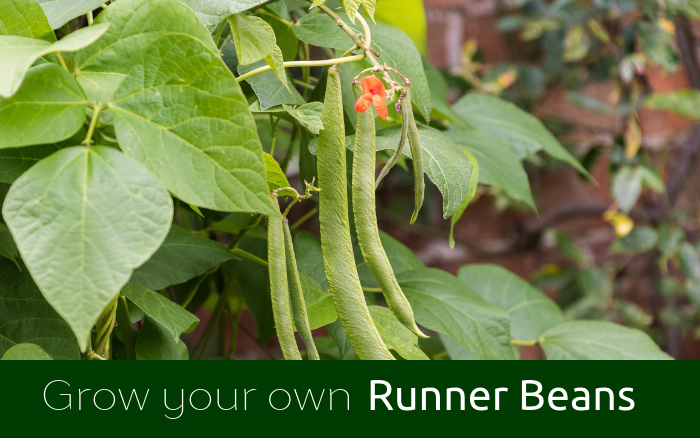 Climbing varieties need tying to canes, and dwarf beans are bushier and ideal for a small garden. Plus you can try new colourful varieties with cream, yellow, purple and speckled pods. They are decorative enough to grow in a flower border! 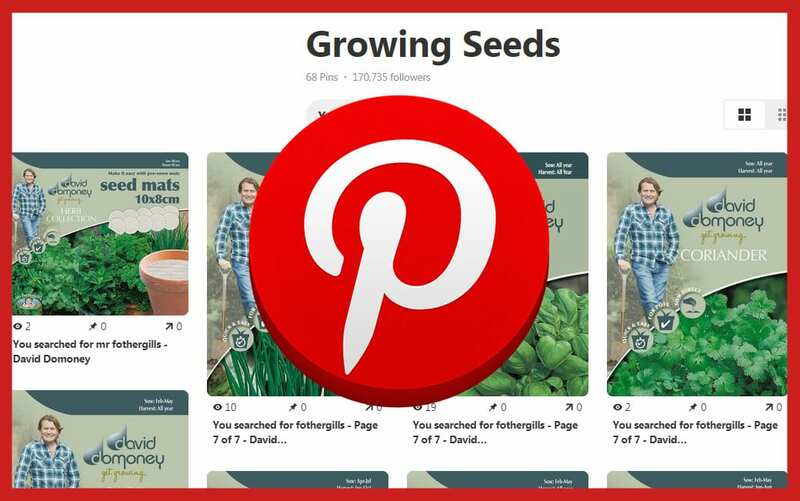 Sow seeds 4cm deep and 20cm apart, in rows 45cm apart. Water in. Sow climbing varieties in double rows for traditional triangular cane supports, or in rings for bamboo wigwams. Dwarf plants only grow to 45cm tall, so you can place them near other plants to provide support instead. Space plants 15cm apart. 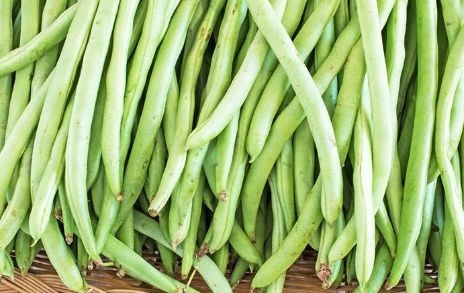 Do not sow before the recommended time—French bean plants are not particularly hardy and do not like cold weather or frosts. Protect seedlings from slugs and remove weeds as they grow. Support bean plants as they grow. For climbing beans, push 1.8m bamboo canes into the ground near the plants and tie at the top to make a triangle. Tie each pair of canes to a horizontal cane running along the top. To make a wigwam, create a pyramid shape with four canes spaced 15cm apart, all tied together at the top. Loosely tie the plants to the cane as they grow. If the weather turns dry during or after the flowering period, water copiously. Apply a mulch of well-rotted manure or mushroom compost in July to keep soil moist. Start to pick pods when they are at least 10cm long. The pods are ready when they snap easily and the shape of the bean is becoming visible inside the pod. Don’t tug the beans off or you may loosen the plant’s root. Cut pods off with scissors instead. Pick regularly to encourage the plant to continue cropping. If you want to store dried beans (haricots) for winter, leave the pods on the plant until they become straw-coloured. 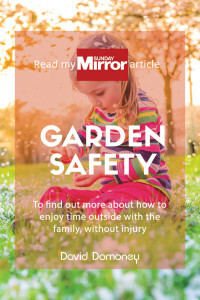 Hang indoors to try. When they become brittle and start to split, shell the beans and dry on paper for a few days. Store in an air-tight container. French beans are not actually French! They are native to South America, and were introduced to France by the Spanish Conquistadors. Once you have harvested all the pods, water the plant and add plenty of liquid fertiliser. This should give you a second crop of smaller but still tasty beans.